The powerful recent phase protects lifefrom damaging radiation. 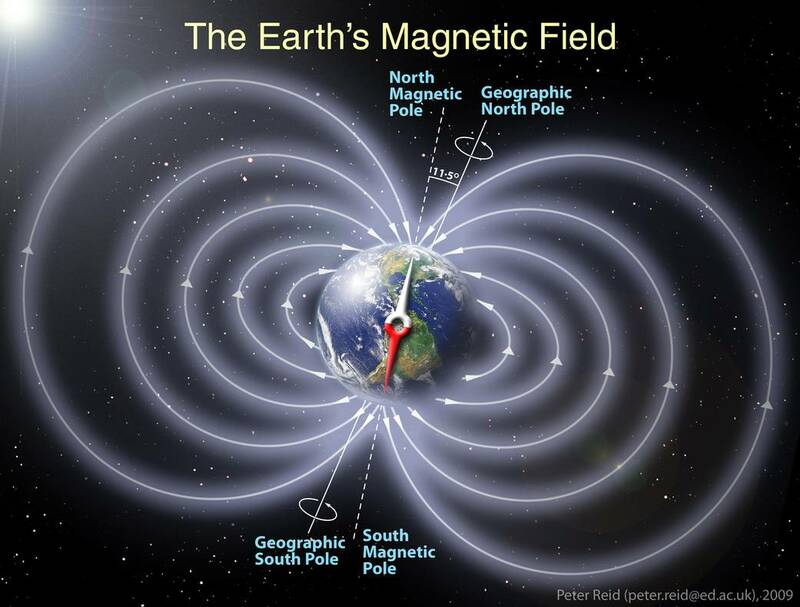 The Earth’s magnetic field serves to deflect most of the solar wind, whose charged particles would otherwise strip away the ozone layer that protects the Earth from harmful ultraviolet radiation. So, just as the Cambrian Explosion is occuring, the earth’s magnetic field solidified instead of ‘collapsing,’ thus ensuring that life above ground wouldn’t be made impossible because of deadly radiation. Yes, it did work out quite well. Chance and gravity. Imagine that!